I’m originally Palestinian from a small village called Beer Zeit (the Well of Oil), grew up in Jordan, from a family that produced olive oil. I have memories of this old, traditional land with ancient olive trees – a memory that has informed my connection with trees and the earth. I am a visual artist, working mainly in watercolours but throughout the years I have adopted a mixed media pallet. My early studies were in Jordan, then I got a full scholarship to study in the US and completed a BFA in Fine Arts and Graphic Design, after which I returned home to Jordan and worked as an artist, and an art educator in both the International Baccalaureate Schools and The British Curriculums. I then migrated to Australia, where I got my Masters in Art Therapy at La Trobe University. During this time, I established the Arts in Healthcare Program at the Olivia Newton-John cancer, research & Wellness Centre in Melbourne. I eventually volunteered for a mission with The Red Pencil to work with Syrian Refugees in Lebanon. How were you introduced to art therapy? After Graduating from the US, I worked as an assistant director for a site specific theatre at the King Hussein Cancer Centre, where we interviewed cancer patients about their journey and developed a play based on this. It was then that ‘A Rare Kind Of Love’ was created – site specific theatre that converted an abandoned section of a hospital into a theatre. 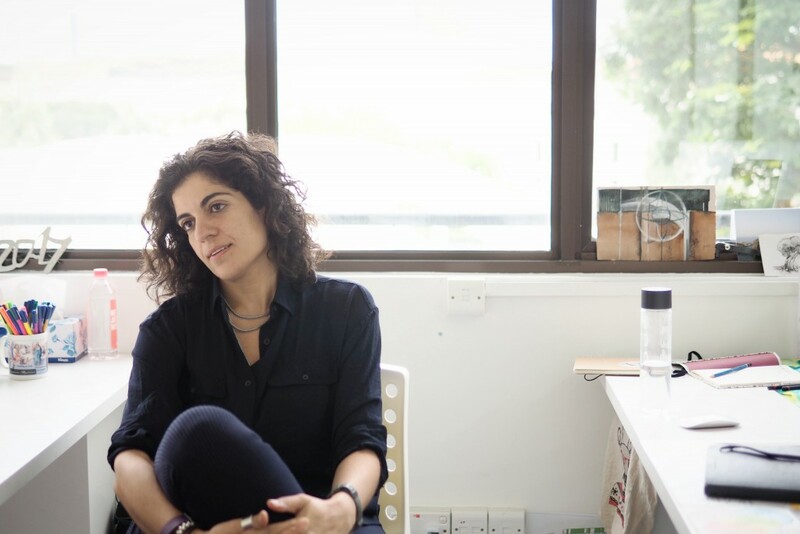 http://www.gridiron.org.uk/production_type/naw-nader-men-al-houb/ The audience and actors moved from room to room, inhabiting spaces together. The actors were patients who told their stories. I saw how powerful it was – the act of vocalising your meaning and purpose in life, especially in the face of a cancer diagnosis. When I interviewed some of the patients, I saw what an impact the process had on them – it brought healing and closure. Then again, I’ve always believed that art and spirituality and life and meaning are intertwined. I carried that experience with me to teaching – the sense of exploration, of finding solutions through art making. I taught art to children, including those with special needs and I can safely say that I never was a traditional teacher. My classroom were based on enhancing students’ learning experience. Students were invited to to play or create anything of their own in the lesson. I also had music, and different creative projects around the room to inspire their creativity. They loved that. I found that the children behaved differently in art classes, almost as if making art was helping them cultivate empathy and understanding. When we had an exhibition at the school, a lot of children sold their works. The process of actualisation – of creating art, framing it, selling it – shifted their sense of self-esteem. They were proud of what they were doing. In my experiences teaching, I didn’t limit art to a piece of paper. It could be scraps of wood, or a car door. Art is an invitation. Witnessing the transformative effects of art, I naturally gravitated towards art therapy. It sounded like something I was already practicing intuitively. Through my career, I’ve always had a creative artery that fuels a lot of the different positions I’ve had. Art therapy was a way to integrate everything I’d learned and experienced into a means of helping people. Tell us about your role at The Red Pencil. I am the Operations Manager at The Red Pencil. My role encompasses arts therapy program development, strategic planning of missions to respond to the rapid growth of societies, migration issues and the evolving needs of beneficiaries in many cultural contexts, supervision of art therapists and research initiatives. At RPI we recognise that volunteering is a two-way process. Our procedures incorporate the development of appropriate roles that reflect the diversity of the local community in line with the objectives of each mission, a do-no-harm code of conduct and a clear alignment to the values of our humanitarian work. Our clear procedures are put into action for introducing new volunteers in their role, The Red Pencil’s work, policies, practices and relevant personnel. My team is committed to the overall health and well-being of volunteers by providing debrief and supervision sessions before, during and after each step of the missions. We are aware of the contribution of our volunteers and are committed to giving them recognition. We partner with different non-profit organisations and develop art therapy programmes for children and families across the world. The Red Pencil has been present in 23 countries so far, and my team is in charge charge of making sure that the process from start to end is seamless. For me the key to a successful mission is to work with partner organizations who, like us, support the mental health and well-being of beneficiaries by providing psychosocial programmes for participants. In the majority of missions, The Red Pencil’s Humanitarian Model is integrated into the existing programme structure of the partner. The Red Pencil designs art therapy programmes that integrate the psycho-social support frameworks provided by partner humanitarian organisations. We recruit art therapists internationally, screening our applicants thoroughly to make sure their experience and skills are the best match to the needs of a particular mission. We work closely with these recruits, coaching them and developing the programme with them so that they’re empowered to deliver the content to our beneficiaries. Honestly, I feel fulfilled when the team dispatched is satisfied. It’s also important to me to ensure that programmes involve integrating local cultural and traditional art making practice and materials. In India, for example, our art therapists work with Rangoli. For our beneficiaries, the medium is comfortable, it feels more like home and less than something to be wary or fearful of. We buy our materials locally as much as possible. Are these programmes long term? There are different frameworks. There’s a three step programme, where each step is 2 weeks long, and the three sessions span over the course of a year. There’s an art therapist residency which is 6 months long. There’s also a 1 step programme. These missions provide wonderful opportunities for professional development for art therapists. And how do your beneficiaries respond? Every mission has been such a blessing. Being involved in developing a program that uses art to access creativity, connection, empowerment, advocacy is phenomenal. Sometimes, we intervene in areas where people haven’t seen art materials before! The response has been quite positive. They wait for us to come back, which is a good sign. Of course, we do our part to keep the relationship with the partner organisation going, It’s crucial to us that the programs we run are integrated into the psychosocial framework of the communities we work with. What’s next for the Red Pencil? We’re starting our project in Belgium, which addresses the migrant population. We have missions in Lebanon, Uganda, India. There’s a lot of need for intervention, and we’re responding to the best of our capacity. We’re looking at developing a visual journal app to mainstream the experience and make it more accessible. There’s an ongoing research initiative in Singapore. 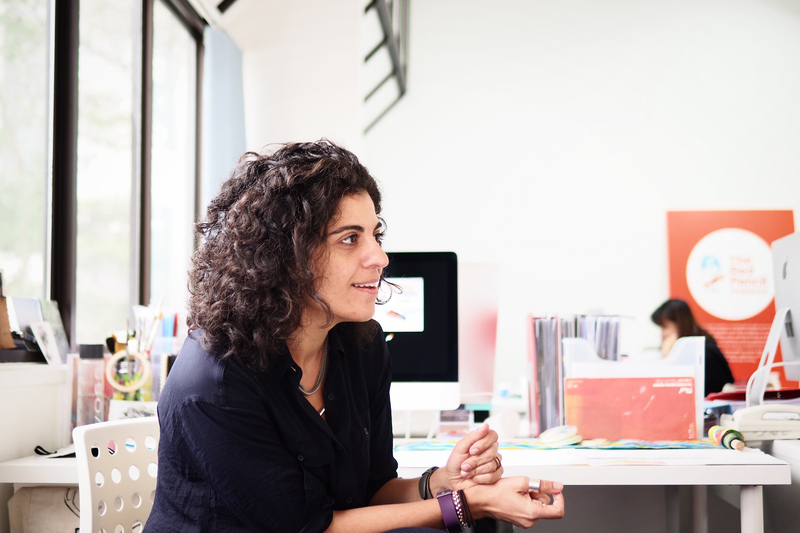 As a team, we’re looking at revamping our website and rethinking our marketing strategy. We’ve also got a couple of big events lined up. 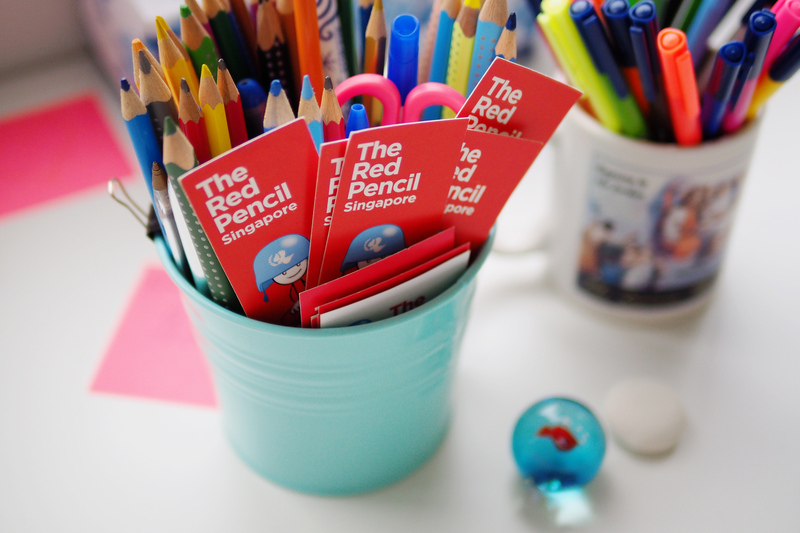 We hope to have a Red Pencil International Day in Singapore. The Red Pencil was born here, did you know? It’s a Singaporean organisation with a smaller office in Geneva. This is the centre of all the action. What’s a new beginning to you? Every moment is a new beginning. But with that new beginning you’re getting closer to the ending. Everything is what you choose to make out of it. If you choose to see life in abundance, with appreciation and gratitude, every day is a full day and a new beginning.